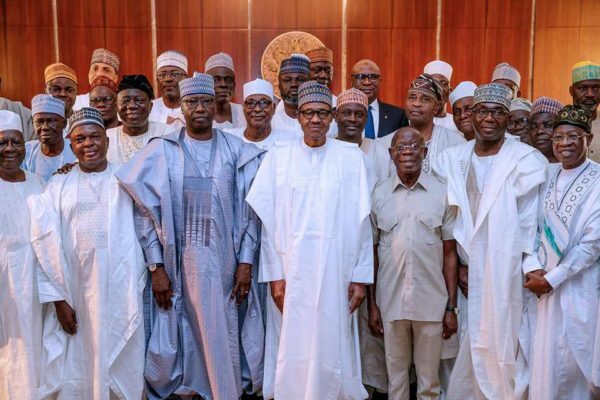 President Muhammadu Buhari has urged aspirants of the All Progressives Congress (APC) who lost out in the primaries to remain faithful and hold fast on integrity to the nation. A statement issued by the President’s Special Adviser on Media and Publicity, Mr Femi Adesina, on Wednesday, said Buhari gave the charge at a dinner with the APC Aspirants Forum at the Presidential Villa, Abuja on Tuesday night. The president said the primary motivation to contest elections should be to improve the country and not for pecuniary reasons. “We must maintain our faith in the country,’’ he told the coalition of party members who contested the primaries. President Buhari said he contested presidential elections three times before coming to power in 2015. He warned them to be vigilant and circumspect in making choices, saying the future would only be salvaged by those who love the country. He said: “I spoke with the APC party chairman almost every other day, at least for an hour during the primaries. He pointed out that in spite of all efforts to appease everyone and give them a chance at the polls; some aspirants were still not treated fairly. “I urge you to stay faithful if your objective is to serve the country. “I came back to power in this “agbada’’ to convince Nigerians to make sacrifices that the country needs now for a better future,’’ he added. In his remarks, the Minister of Justice and Attorney General of the Federation, Abubakar Malami, said the meeting was organised to address grievances and fallout of the APC primary elections across the country. He said it would be unfortunate to allow the grievances overshadow the challenges before the country, assuring the aspirants that government would assuage their yearnings to serve the country. Malami said they should work collectively with the president in building the party and setting up a framework that would ensure healthier relationships and better internal democracy. The leader of the APC Aspirants Forum, Hon. Yusuf Banki, gave assurance that the network of 7,000 members would work to ensure President Buhari’s victory at the polls in 2019. My spouse and i have been now comfortable Jordan managed to deal with his researching through the precious recommendations he received from your weblog. It is now and again perplexing to just always be offering guides which often other folks have been making money from. And we also figure out we now have the writer to appreciate because of that. All of the illustrations you have made, the simple web site navigation, the friendships you can aid to create – it is everything astonishing, and it’s helping our son in addition to us know that that subject matter is satisfying, which is certainly very essential. Thanks for the whole lot! Thanks for all of the efforts on this web page. My mother enjoys managing research and it is easy to see why. A lot of people hear all about the compelling way you deliver simple ideas via your blog and in addition attract response from website visitors on that theme then our girl is undoubtedly learning a lot of things. Take advantage of the rest of the new year. You’re carrying out a really great job. Copyright © 2018 TOWNCRIER.ng | Alright Reserved.